It seems fairly clear that the international community will not recognize a potential annexation of Crimea by Russia. However, whether or not the action complies with international law is more complicated. If Crimea is ultimately annexed by Russia, it will be an unprecedented event in modern geopolitics. The move is not legal under either Ukraine’s or Russia’s Constitution. However, there is more precedent for a region of a country to vote to become an independent state. According to Ukraine’s 2004 Constitution, the Crimean parliament’s decision to hold a referendum on becoming part of Russia is illegal. The Constitution states that any alterations to the territory of Ukraine shall be resolved exclusively by an all-Ukrainian referendum. So far, however, there have been no proposals to hold a countrywide vote on the future of Crimea. 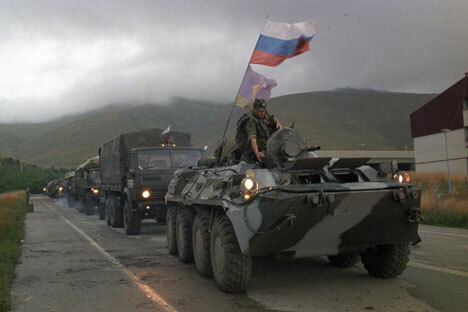 A 2001 Russian law would also negate any referendum held in Crimea on its fate. This law allows the creation of a new Russian region in an annexed territory only in one case: if there is an agreement with the government from which the territory is seceding. However, there is an attempt to circumvent this law before the Crimea vote. On Feb. 28, Sergei Mironov, the leader of the Just Russia party introduced a new draft law to Russia’s State Duma that would allow Russia to annex a territory even when there is no corresponding international agreement in two cases: if the residents of the “seceding lands” vote on joining Russia in a referendum, or the territory’s legitimate authority issue a corresponding appeal to Russia. There has already been such an appeal: on March 6, the Crimean parliament asked Vladimir Putin if Russia would be willing to annex Crimea. And there is little doubt that the referendum, which is supposed to occur on March 16, will confirm the desire of Crimea to join Russia. Mironov said that the Duma may adopt his proposed draft law next week. The bigger question is whether or not the international community will recognize the legitimacy of Russia’s decisions, and to what extent these decisions will comply with international law. It seems fairly clear that the international community will not recognize the annexation of Crimea by Russia. However, whether or not the action complies with international law is more complicated. Current international law combines two contradictory principles: a government’s territorial integrity on the one hand, and a nation’s right to self-determination on the other, according Maxim Bratersky of the Centre for Comprehensive European and International Studies at the Higher School of Economics in Moscow. In 2008, the West recognized Kosovo’s independence from Serbia based the principle of a nation’s right to self-determination. “Kosovo is a mirror image of the current situation in Crimea,” Bratersky said. At one point Vladimir Putin called the Kosovar president dangerous, recalling that similar problems existed in Spain and Belgium. But in 2008, Moscow unilaterally recognized the independence of Abkhazia and South Ossetia. How Putin will act in the situation with Crimea is not yet clear. Nevertheless, if Moscow is willing to recognize Crimea as a new subject of the Russian Federation, this will be an unprecedented state of affairs. Annexing the territory of one government by another without the agreement of the government of the country from which the “territory” is seceding has not been done since the end of the Cold War, Bratersky said. Are we likely to see a war with Ukraine? However, this has happened with mutual agreement. In 1997, Great Britain returned Hong Kong to Chinese jurisdiction. In addition to the appearance of new conditionally independent or unrecognized governments in Kosovo, Abkhazia and South Ossetia, in 1999, East Timor became an independent government separate from Indonesia under a vote conducted with UN supervision. In 2011, South Sudan became independent from Sudan in much the same way. According to Bratersky, the fact that East Timor and South Sudan proclaimed independence with the UN’s support made these governments completely legitimate from the perspective of international law. So far, 21st century reality shows that the right of a territory to become independent or determine its own fate depends upon the strength of its patron and the standing of that patron in the international community.